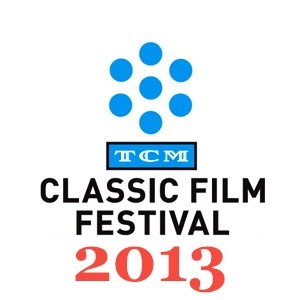 My attendance at the 2013 TCM Classic Film Festival was far and away one of the highlights of the year. A true movie lover’s paradise, the TCM Festival attracts classic film aficionados from the world over, and TCM certainly delivers the goods. It was great fun interacting in person with my fellow bloggers, whose work I know so well online, and making new classic film friends. A wonderful experience! 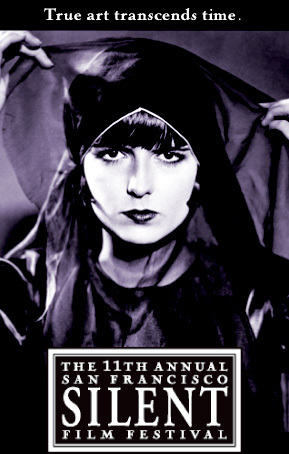 For the second year in a row, Backlots covered the San Francisco Silent Film Festival this past summer. As usual, it was a fantastic event with presentations unparalleled in their quality. Highlights for me included a screening of the hilarious Marion Davies movie The Patsy, an interactive talk with Winsor McKay expert John Canemaker, and the breathtaking gamelan accompaniment set to the Balinese silent film Legong: Dance of the Virgins by the Sekar Jaya Gamelan Ensemble. The San Francisco Silent Film Festival never disappoints. 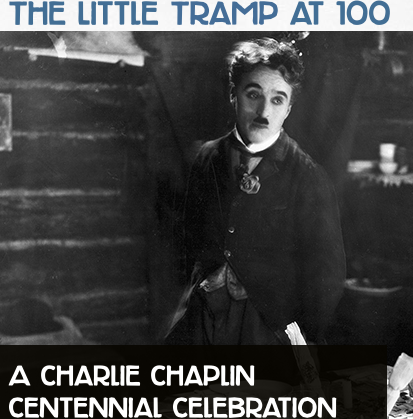 Stay tuned next year’s festival which will be held over Memorial Day Weekend, and on January 11 for their special celebration of The Little Tramp at 100–celebrating the 100th anniversary of the first appearance of Chaplin’s The Little Tramp. I will be at both events! 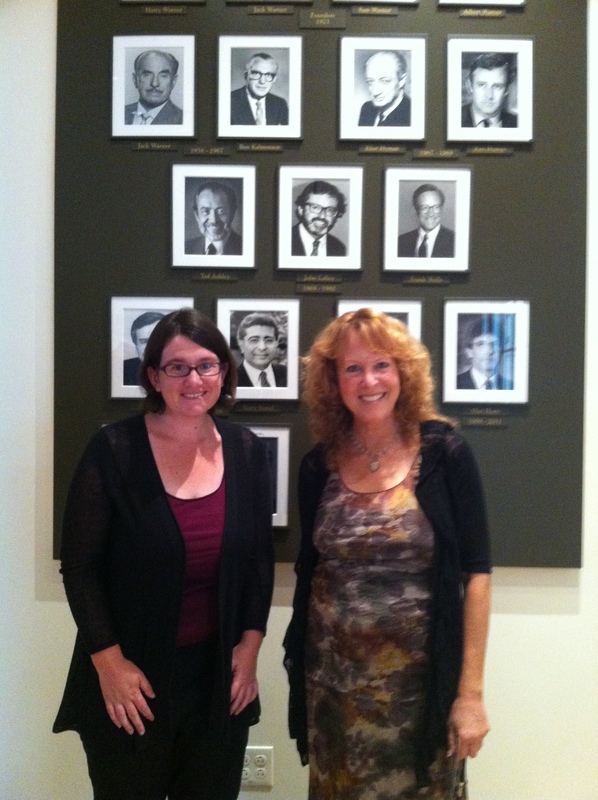 Last month, I was honored to be invited to blog for the Warner Bros. 90th Anniversary Tour. We bloggers were treated to a day of exploration at the studio, led by a professional guide, and topped off with lunch at the commissary. 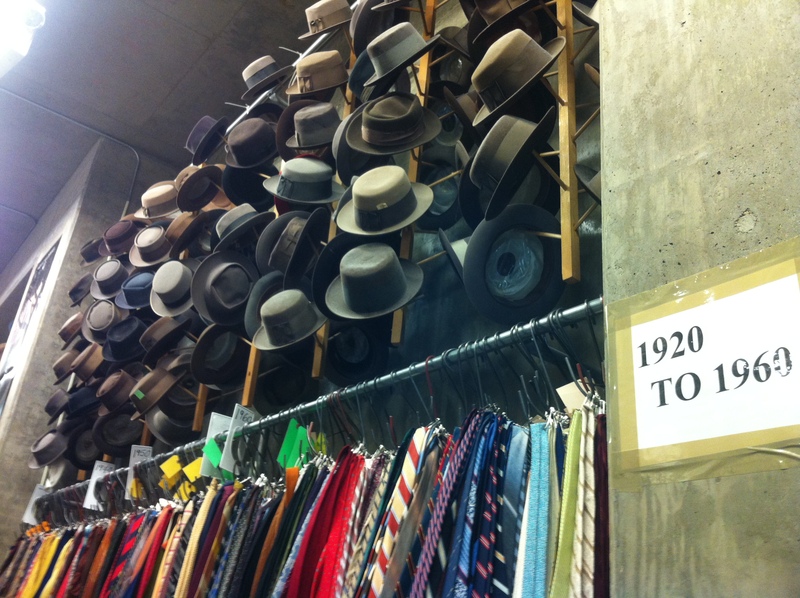 We had special access to the costume department and several areas off limits for regular tour members, and it was indeed a special day. Again, I met so many fellow bloggers and had such a good time. 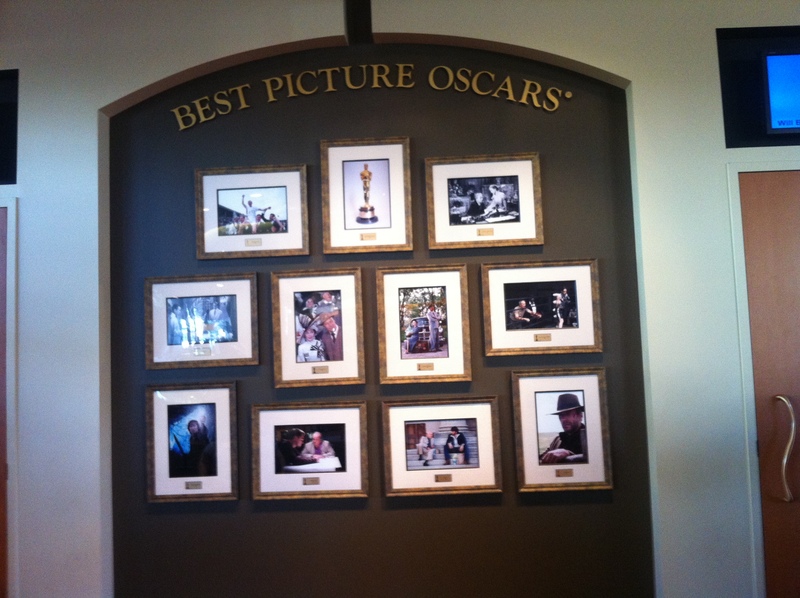 Thank you, Warner Bros., for organizing this wonderful day for us! The classic film community was graced with several magnificent new books this year. 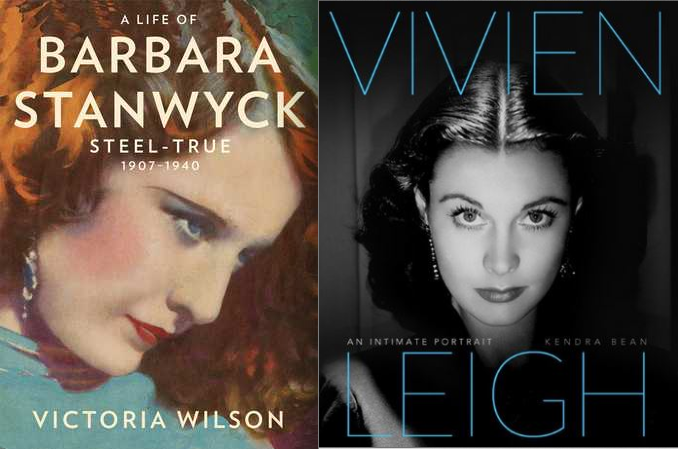 I had the pleasure of conducting interviews with Victoria Wilson, author of A Life of Barbara Stanwyck: Steel True 1907-1940, and Kendra Bean, who is the author of Vivien Leigh: An Intimate Portrait and a personal friend of mine. Both of these works are great monuments in and of themselves. 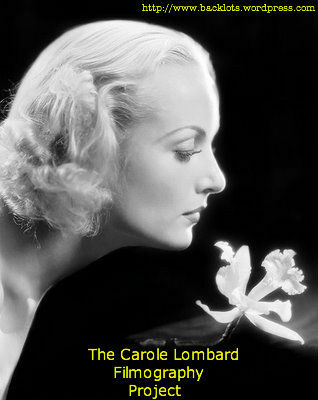 A Life of Barbara Stanwyck is a gargantuan book that features 860 full pages of text and another 200 for source notes, and has proven to be the quintessential, definitive book on the actress. My reading of this book, though it took me less than 2 days, is one of the highlights of my year. Vivien Leigh: An Intimate Portrait is so chock full of previously unseen photos of this staggering beauty that the reader simply cannot put it down. It is displayed prominently, face forward, on my shelf so as not to obscure its beauty. I am so lucky to have had the opportunity to interview these two gifted writers, and I thank them for their interviews with me. Read Victoria Wilson’s interview here, and Kendra Bean’s here. In what was perhaps my most meaningful personal success of 2013, I had the great privilege to interview Joan Fontaine in honor of her birthday. This was her last birthday, and her last interview. Joan was frail and her health declining, so she kept her answers short. The length of her answers does not matter to me. My interview with Joan Fontaine remains the single greatest privilege Backlots has ever had. Click here to read it. Rest in peace, dear Joan. This is the video I made in memory of Joan Fontaine. I hope you enjoy it. Wow, readers. What a year. 2014 is already shaping up to be an equally marvelous year! 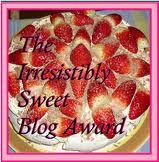 Here’s to what’s to come, and to you, loyal readers, for helping to make this blog what it has become. Tagged barbara stanwyck, charlie chaplin, joan fontaine, kendra bean, mary pickford, San Francisco silent film festival, tcm, victoria wilson, vivien leigh, warner bros.
To all those who celebrate it, I wish my readers a very merry Christmas with lots of quality time with friends and family! 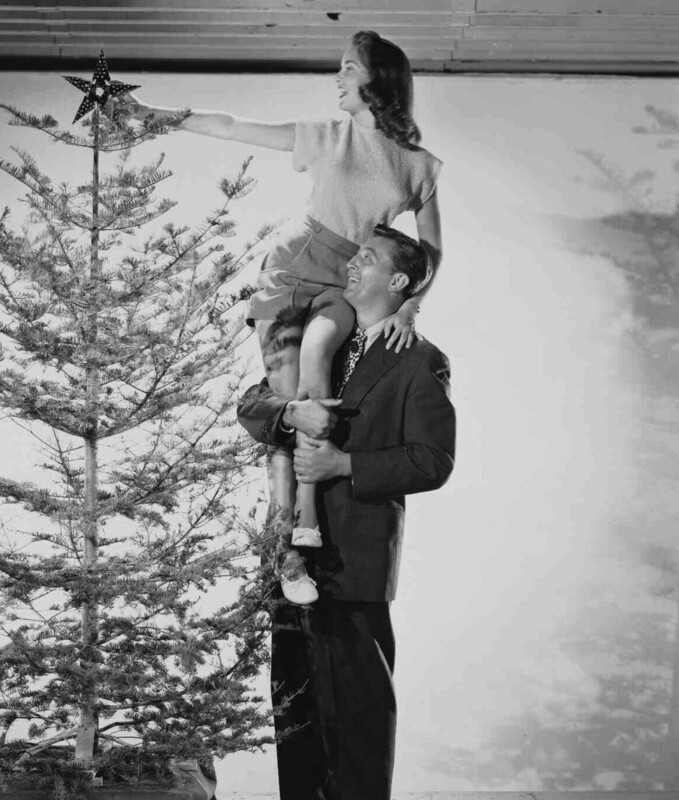 The holiday of Christmas has heralded some of the most beloved movies of all time. 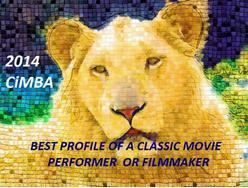 In celebration of the season, I am profiling a few of my favorites here. Have a wonderful holiday, and if you have a free moment, check out some of these movies! Starring Barbara Stanwyck and Dennis Morgan, it tells the story of a “perfect housewife” columnist who doesn’t exactly have the life her column suggests…and when her boss requires her to host a war veteran at her home for Christmas (and insists upon coming along himself), she has some arranging to do! 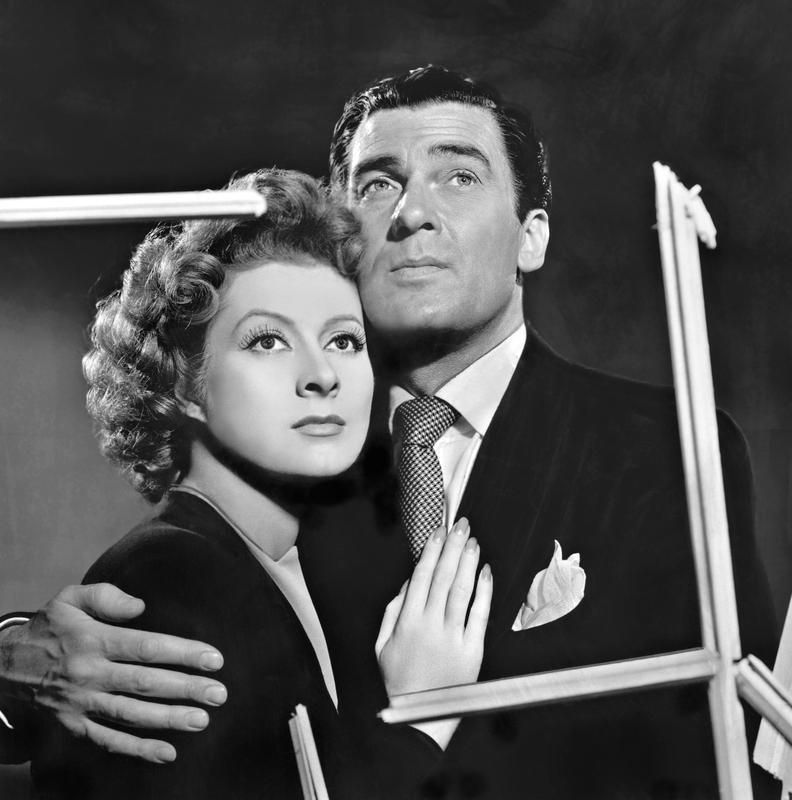 A sweet situation comedy that is defined by Barbara Stanwyck’s delightful performance and that of the adorable S.Z. 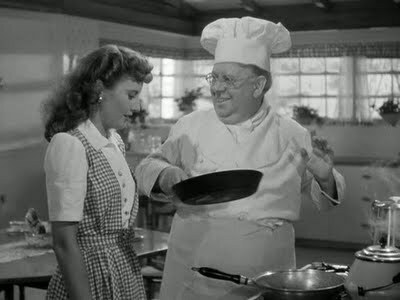 “Cuddles” Sakall as the character of Uncle Felix. This one is a true classic, and often I find myself disillusioned with the fact that with its great popularity has come a colorization that has now taken over AMC every year at Christmas as well as a 1994 remake, that has become more prevalent than the original on the other more commercial channels. But this, I believe, is the one and only one to see. Natalie Wood stars as a little girl skeptical of Santa Claus, until a Macy’s Santa Claus played by Edmund Gwenn makes her think twice. 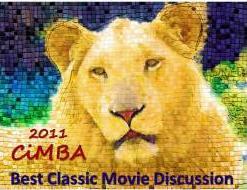 It is a fantastic children’s movie and also holds up extremely well for adults–if you haven’t seen it since your childhood, now is a wonderful time to revisit it! This is a lesser-known gem with which I first became acquainted last year at Noir City X-Mas. It is a sweet, low-key comedy that stars Janet Leigh as an engaged war widow who falls in love with a department store clerk while undercover on her job as a comparative shopper. 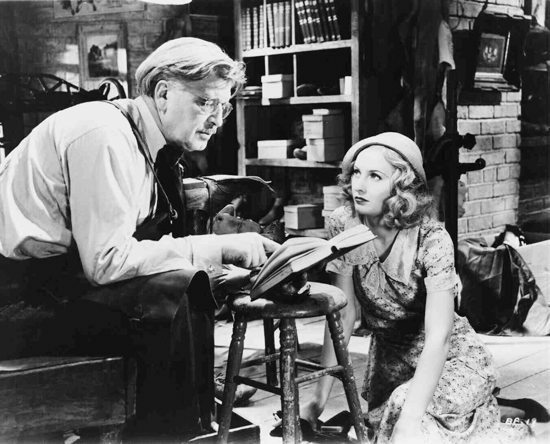 Though she already has a fiancé, her young son takes to the department store clerk (played by Robert Mitchum) and there begins to be some tension due to her son’s clear preference for Mitchum’s character. The movie is light fare, but good fun. One of the best performances in the movie comes from the little boy, played by Gordon Gebert. His acting career never took off but he found a second talent in adulthood–after studying architecture at UCLA, USC, and MIT, Gebert is now a very prominent professor at New York City’s College School of Architecture. Well, readers, today was an exciting and exhausting day to say the least. It began around 9:45 in the morning when, running on adrenaline and caffeine only (I didn’t get very much sleep), I arrived at the Warner lot for the VIP tour. After getting formally acquainted with several classic film bloggers whose names I knew well, we were led into a special screening room where we watched a short video of the history of Warner Bros. and then headed out on the tour itself with our friendly guide, John. We bloggers got some very special treatment–our first stop was the costume department, which is not normally part of the tour. There, a woman by the name of Elaine showed us stock costumes while explaining to us how the costume system works at Warner Bros. It turns out that costumes are owned by Warner Bros. but can be rented by other studios–there is a bit of a kinship there that allows costumes to be shared. Upon questioning her about a sign on one of the door that said “Trades not allowed,” Elaine also informed me that there is a trade system in place for some of the costumes. If a costume from the collection is lost or damaged, often the person who lost or damaged it can replace it with another costume of the same value. However, in that particular department, trades are not allowed if the costume is lost or damaged. The person must pay, out of pocket, the value of the costume. Very interesting stuff, and really gives you an insight into some of the politics of the inner departments of the studio. 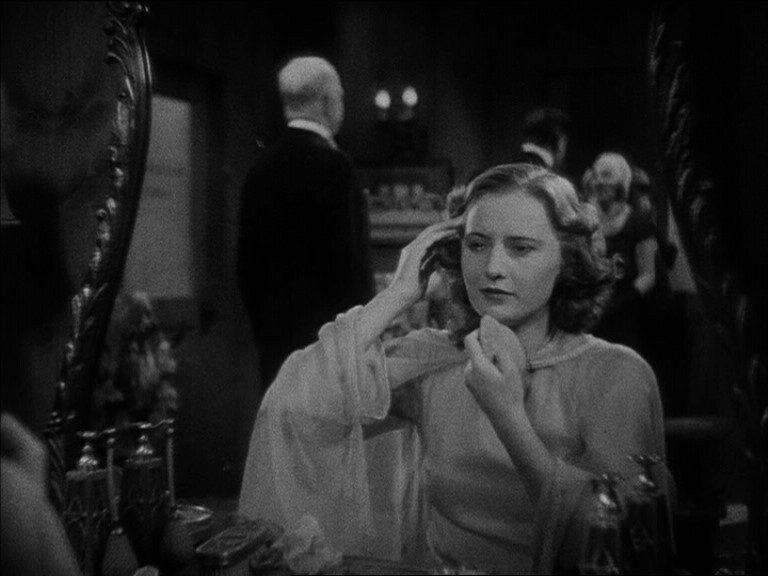 As many of my readers know, I am a big fan of Barbara Stanwyck and was keen to know where Stanwyck’s pre-Code Warner Bros. films were shot. I posed my question to John, who was wonderful in getting the answer to me. He handed the question off to several people until I finally got an answer, and the answer was that most of the Barbara Stanwyck pre-Codes were filmed in Studio 14. When we passed Studio 14 later, John incorporated this new information into the tour. The Warner Bros. tour guides clearly respect and value new information, and I appreciated his diligence in answering my question and imparting it onto the whole group. 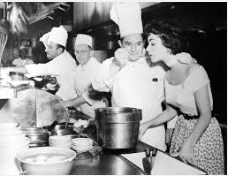 A scene from BABY FACE, shot on Warner Bros. Stage 14. One of my favorite aspects of the tour was the prominent inclusion of A Star is Born. 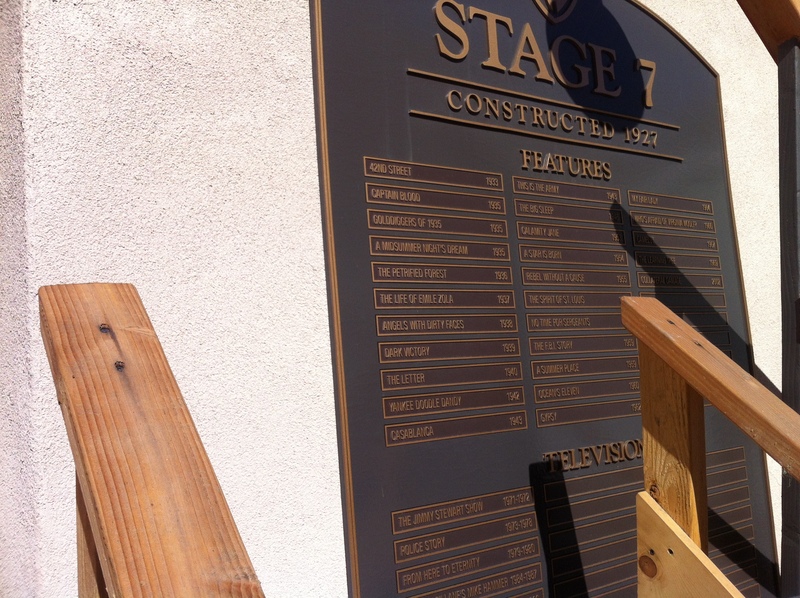 Having seen the movie at least two dozen times, I recognized the set where the opening shot was filmed, and we also passed Stage 7 where many prominent films were shot including A Star is Born, 42nd Street, and Casablanca. Though there were ladders blocking the bottom part of the plaque, I was able to get a bit of it in a picture. I hope you can read the text! From the opening shot of A Star is Born. 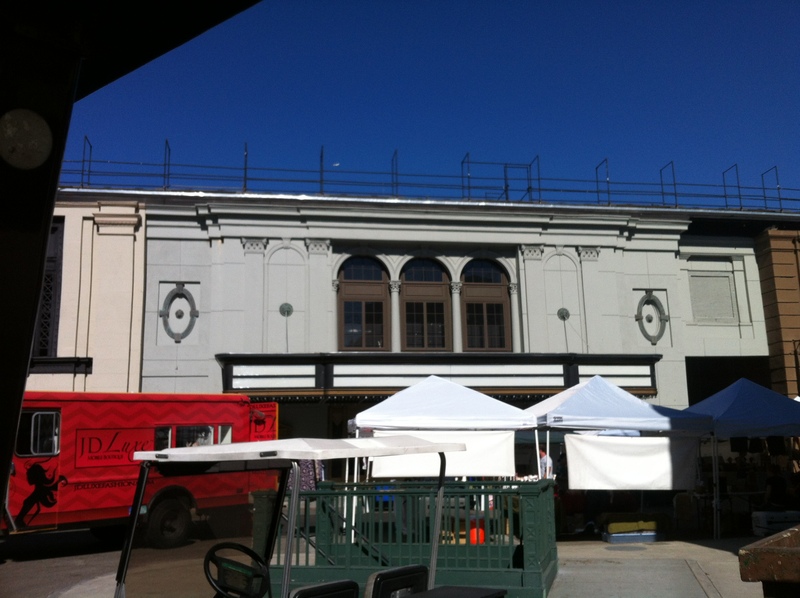 Halfway through the tour, we got a taste of the more modern Warner Bros. with a visit to the set of Friends. As this was a tour specifically geared toward bloggers, several of us classic film bloggers, John was kind enough to also include a lamp from The Maltese Falcon that appears alongside the Friends set. It was fascinating for me to experience the gamut of Warner Bros. through my lens of a classic film fan. It truly gives the visitor a holistic view of the company, and how its history (with which I am mostly familiar) has shaped its present. The tour ended with a bang, as we were given special access to take pictures in the museum, something not generally allowed on tours. I have a real soft spot for costumes, so I was thrilled to be able to take photos of such costumes as the three dresses shown below. 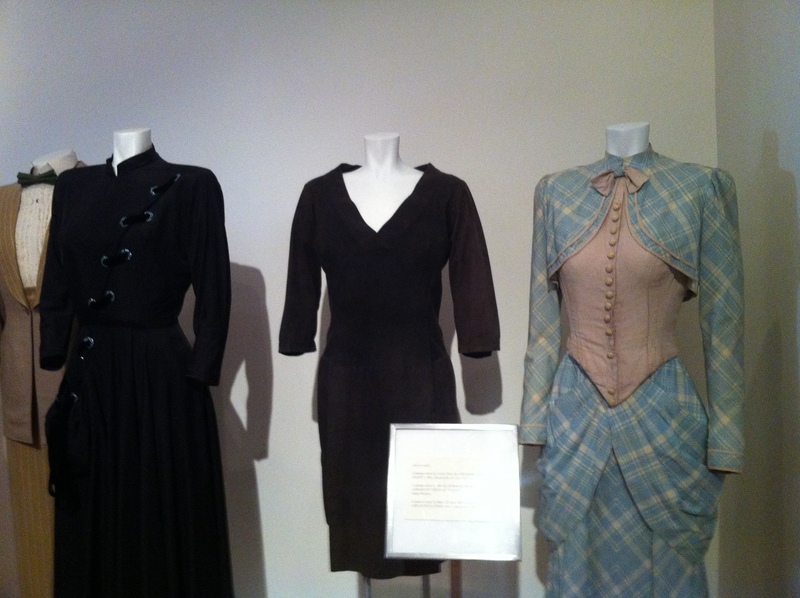 Costumes worn by Joan Crawford (left) and Elizabeth Taylor. Harry Warner’s granddaughter, Cass Warner, happened to be on the lot that day and visited with our group, which was a wonderful moment. She is part of Warner Bros. 90th anniversary speaker series, “Meet the Family,” telling the story of the Warner family through the eyes of its members. Cass has her own production company, the Warner Sisters, that is doing very prominent work in the industry right now. She also shared stories of the family, how she wanted the Warner record set straight. 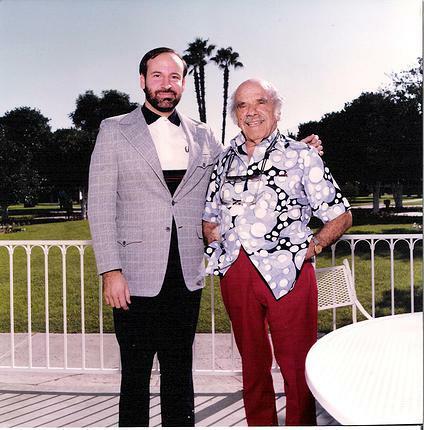 People often think of the movie moguls of classic Hollywood as being tyrannical and controlling–and Cass Warner wanted to reiterate that her grandfather was a loving man with whom she was close. She has also devoted much of her life to learning more about her family history. “I’m sort of the family detective!” she joked. She was very interested in the work we classic film bloggers were doing, and I was lucky enough to get a picture with her. The tour ended at the commissary, where we were given a very delicious lunch. 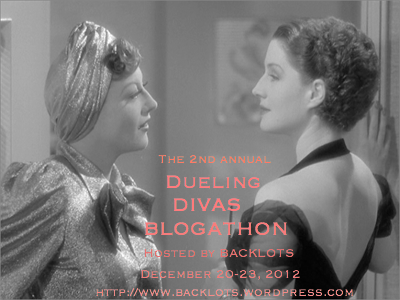 My blogging friends Kimberly Truhler, Kristen Lopez, Elise Crane Derby and I had exciting and lively discussions about our favorite classic film stars, little-known old Hollywood gossip, and our modest but vibrant online classic film community. We are indeed a rather small, devoted, and tight-knit bunch. I got an added bonus after the tour–my friend Marya, who works at the Warner Archives, brought me up to see the closet where they keep all the Warner Archive DVD releases. Needless to say, I was like a kid in a candy shop. 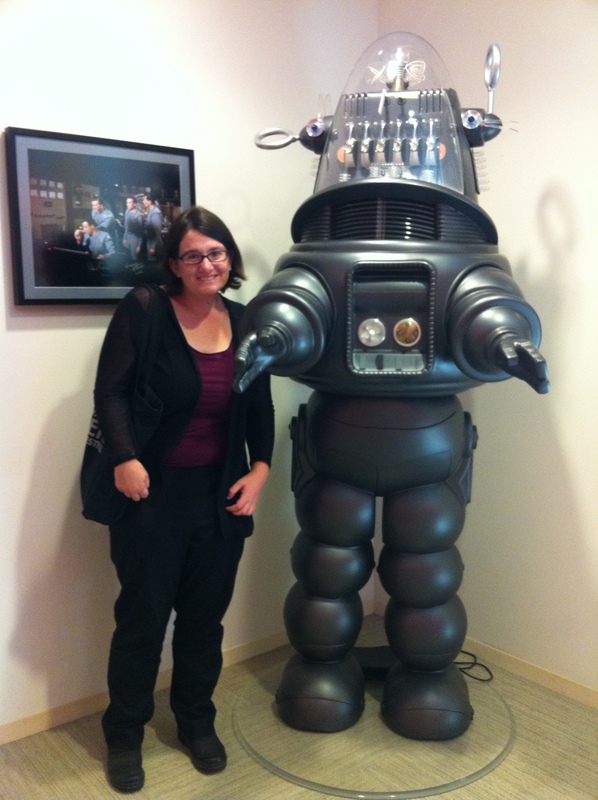 Marya and I talked about all the movies, I got to see where she works, and of course I got a picture with Robbie the Robot. I can’t imagine a more fun-filled day for a classic movie fan. 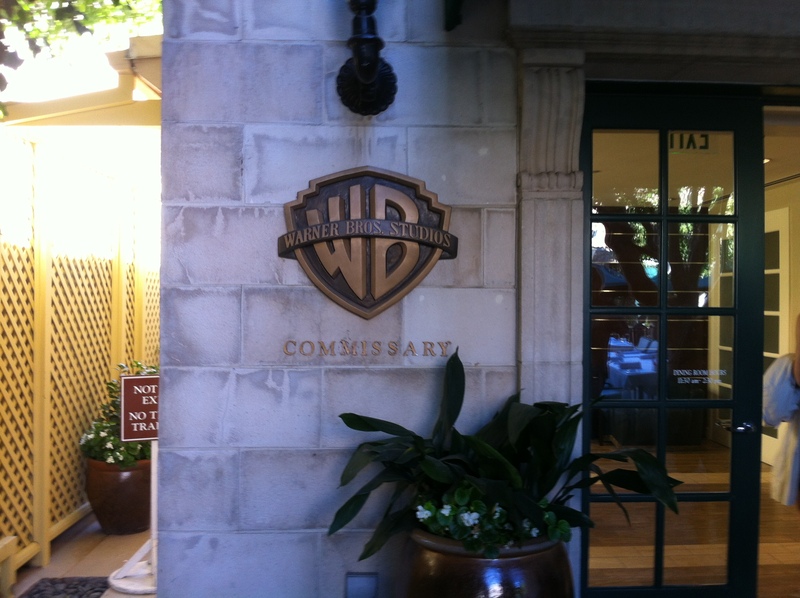 I departed Warner Bros. an exhausted, but very happy blogger. As I mentioned before, Cass Warner is speaking on tours through the end of the year, so if you would like to see her then this is the time to go. Also, apparently there is a tour in French, if you (like your author here!) speak French. However, act fast for that one because it’s only going on through November. If you’re in Los Angeles and have a school or club who would like to see Warner Bros., give them a call because hey have special discounts for groups larger than 24. More information can be found on their website. Thank you, Warner Bros., for this wonderful opportunity! 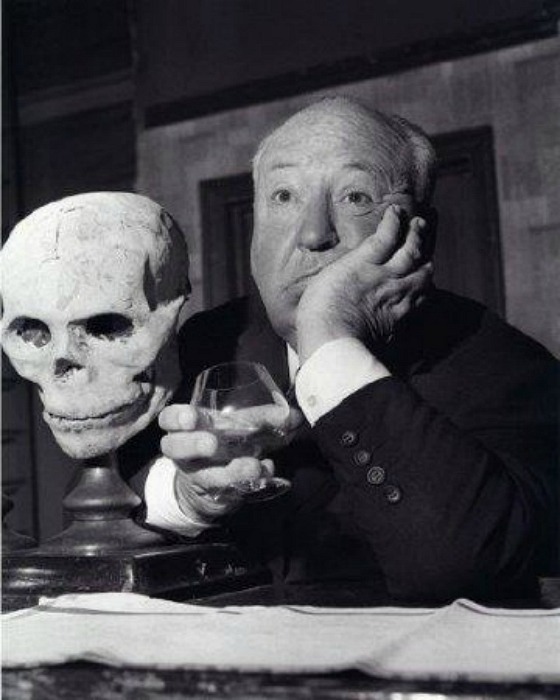 Alfred Hitchcock Thanks YOU for a Wonderful Hitchcock Halloween! Hello there readers, Lara here to thank you for all your fantastic submissions yesterday for Hitchcock Halloween. It was a really fun event and I think Hitch would have been proud! 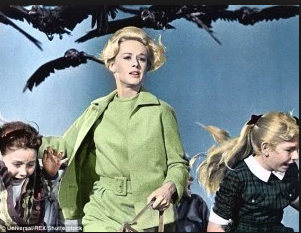 I hope you will join us next Halloween for another installment of what proved to be a very popular tribute to Alfred Hitchcock! 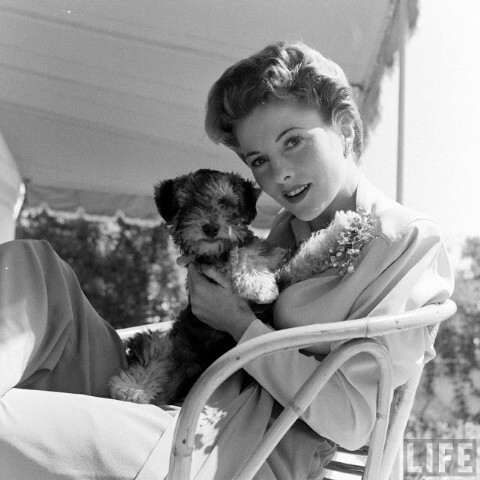 Backlots interviewed Joan Fontaine in honor of her 96th birthday. 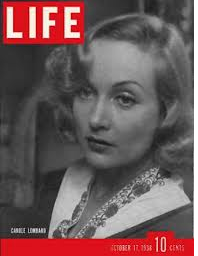 Backlots interviewed Victoria Wilson, author of A LIFE OF BARBARA STANWYCK: STEEL-TRUE 1907-1940. 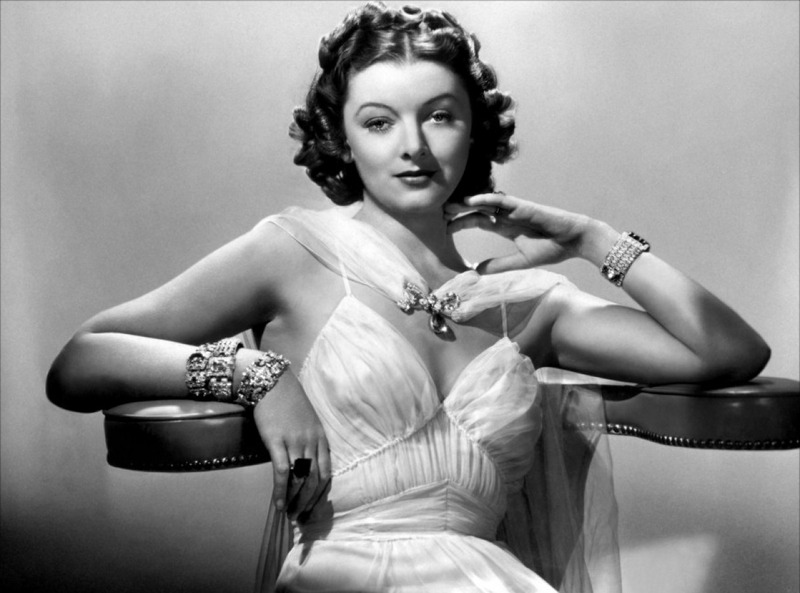 Backlots interviewed Kendra Bean, author of VIVIEN LEIGH: AN INTIMATE PORTRAIT. Thank you to all my readers for making this such a memorable month at Backlots, and here’s to many more equally memorable months to come! In about 2 weeks, Backlots will go down to Burbank to blog for the Warner Brothers’ 90th Anniversary VIP Tour, so stay tuned on November 13 for some very special coverage. More details to come!